Avon is both international manufacturer and distributor of beauty, personal care, household products and toys in more than 140 countries throughout the world. It came into being in the year 1886 and its founder is David H. McConnell. It is a multi leveled marketing organization and has nearly 6.4 million sales representatives around the world. It has earned many awards and recognition from different organizations for its efforts to serve customers with numerous products. It is the largest direct marketing organization and 5th largest in selling beauty products. In April 2012, the company got its new CEO Sherilyn S. McCoy after Jung. There are currently 9 consumer reviews about Avon available. Share your review. Avon needs to bring back Room Air Sprays. Can you start sell all the Dugger DVD from the TV Show On the Channel TLC and 20 and counting book please. Also Pugs T-shirts and White highland terrier and Labradoodle, and cat eye t-shirt, and NKJ Bibles And can you please do Walnut Fruit Cake, Lieboy Soap, also the book called Messenger by Jeni Stepanek its a true story. You need to start selling more books people love to read and I know this would be a great selling idea. Hope you can add these things to Avon for the next 3 years and see if they sell all over the world. Would like to see beer and egg shampoo sold in Avon magazine could you do this. can you sell the Dugger DVD From the TV show on TLC on Tuesday night. Also 20 and counting book of the Dugger family. Please. And at Christmas time sell Walnut Fruit cake. Need a Avon Pet Catalog that sells dogs,Cats, Birds, Fish,Hamster, rabbits supplies. This would be a big hit with people all over the world. Sell lassie dry dog food please. Its time Avon thinks of selling love sets in these colors red, pink, green, ivory, black, and computer table oak. Also I am waiting to see a goldfish t-shirt i adult size large. Will Avon come back out with perfume that in bottle that look like, a deer, I had one when I was little. I would like to see them also have them have perfume bottle shape like a orca whale,and a star fish. 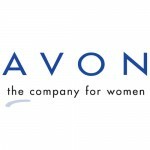 Please take a note that you are about to post a public review about Avon corporate office on CorporateOffice.com. This review will be public, so please do not post any of your personal information on this website. If you would like to contact the corporate offices of Avon, please use their contact information such as their phone number, website, and address listed above to contact them. However, sometimes staff from Avon headquarters do read the reviews on this website.